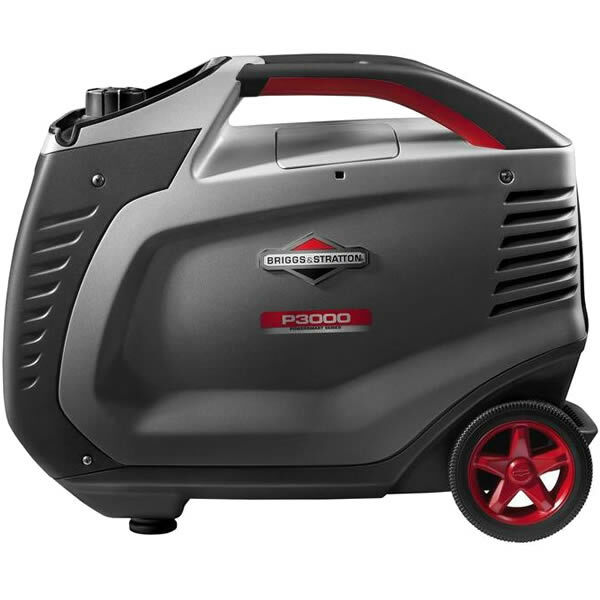 The P3000 PowerSmart Series™ Inverter Generator by Briggs & Stratton takes portable power generation to the next level. 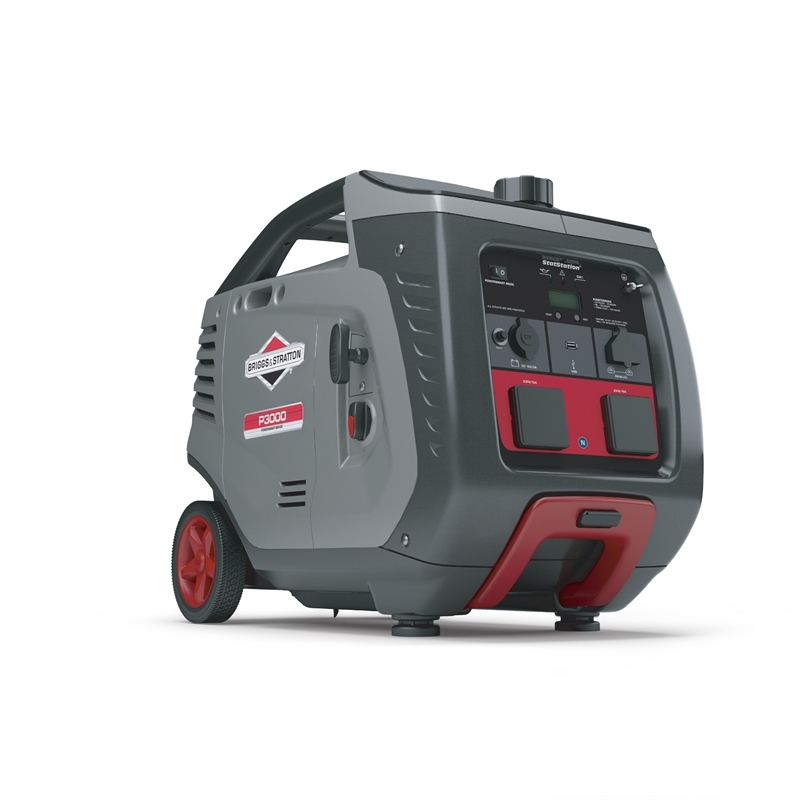 Inverter technology makes it safer for sensitive electronics and computer controlled technology supplies smooth, steady power – and adjusts engine speed accordingly to suit your power needs and save fuel. Twin cushioned carrying handles or a retractable handle and wheels make it easy to move. Plus the on-board LCD StatStation® display keeps you informed about power use, run time and maintenance reminders. Now that’s smart power.